The above info came from Alex Leitner, and was edited by yours truly (contact me). The image came from Animes Shade. Gintama is amazing show! It's a mix between science fiction and the ancient times of Japan during the Edo period. The aliens, "Amanto", invaded Earth and outlawed the Samurai and the carrying of swords. 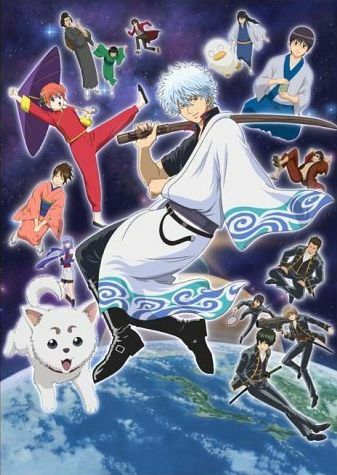 Twenty years later, a freelancer, Gintoki, will do anything he can for money despite the Shinsengumi trying to capture him. The above description came from Alex Leitner, and was edited by yours truly (contact me).